This website has been designed by a small creative media team known as Quoakle. 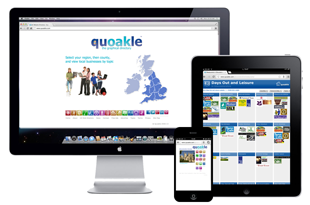 The name Quoakle first appeared in 2006 with the launch of the innovative, graphical online directory – Quoakle.com. Since then, thousands of businesses across England and Wales have been promoted on the graphical directory. for Restaurants – Eat Unique – in different towns and also Great Days Out. As with Quoakle.com, we aim to connect users quickly and easily with a great variety of local websites through directories that are structured very simply – county by county. Quoakle has been privileged to help a number of charities and educational projects, including a number of Christian schools. One such project is Diamond Books – a Bible-based reading project which aims to publish Bible Stories for Children that lay foundations for children’s lives not only for their reading development but also for their understanding of God and his plans. The Diamond Books team are currently working on the Jesus series – 16 books for 4-5 year olds to read for themselves. We are also hoping to launch our most recent endeavour 40 Days! The Quoakle team recently finished their first e-commerce website project for Stavordale – Working Dog Food, using shopify.